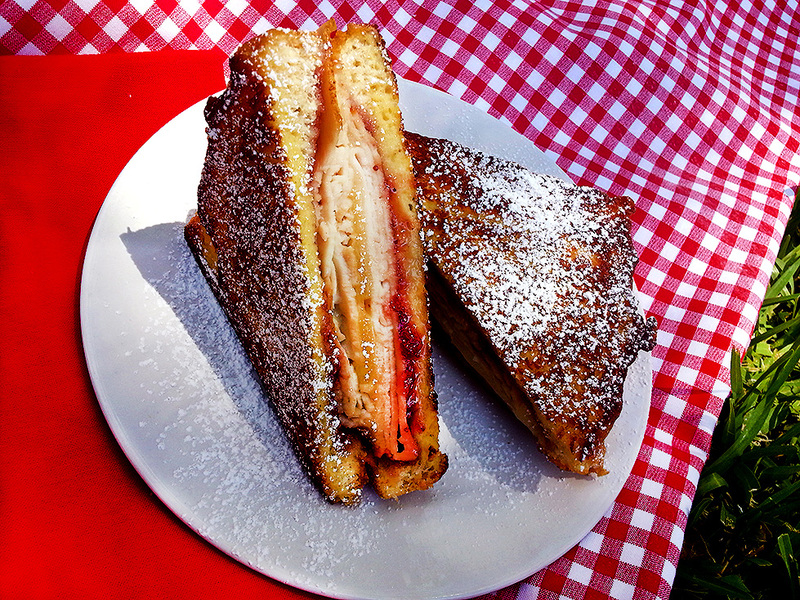 Until now, I’d never made a Monte Cristo sandwich before (the horror!). 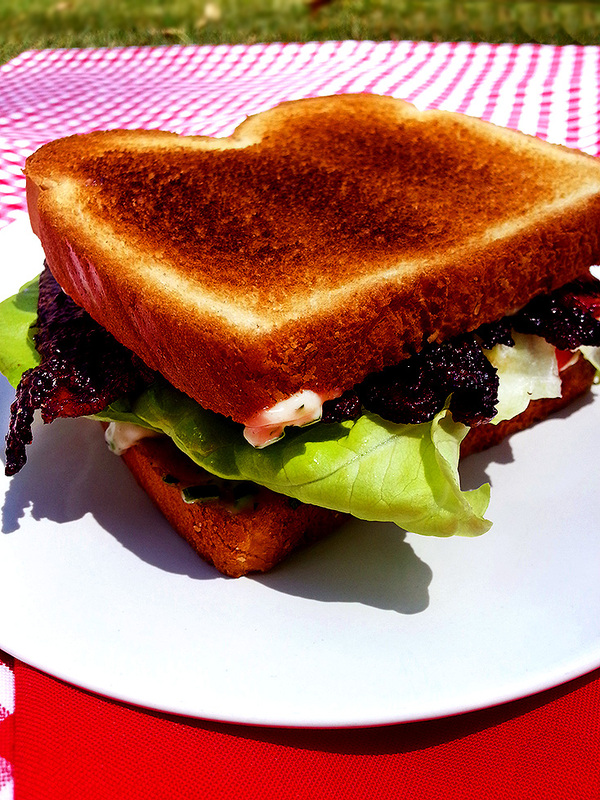 The idea behind this sandwich is a relatively simple yet decadent one – I’m all for sandwiches that basically use french toast for the bread! – but for some reason, I’d not yet tackled one. They’re perfect for breakfast, even though my breakfast preferences tend toward something a little less rich, like veggie scrambles or a quick bowl of cereal. Monte Cristos are a bit involved, but the payoff is so worth it! You can change it up however you see fit, using sliced turkey and ham (or just using your favorite of the two), different types of cheese (I went with the classic, swiss! ), and swapping the strawberry jam for blackberry, raspberry or maybe even apple butter. The powdered sugar dusting is an absolute must in my book, though, so don’t skip it! First up in my National Sandwich Month series? 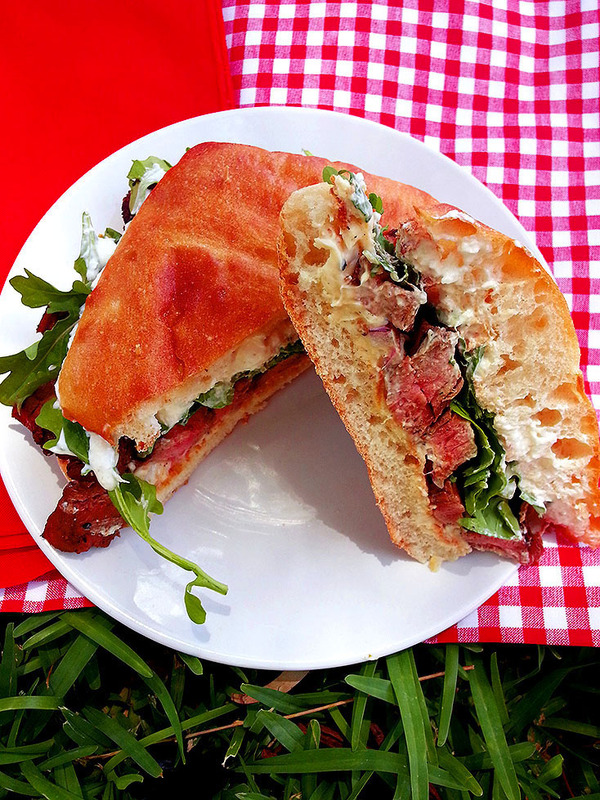 How about some tender steak, peppery arugula, sharp red onion, spicy horseradish cream and a mellow, creamy roasted garlic-cheese spread piled high on toasted ciabatta? Let’s go big, or go home, people. This sandwich packs an awfully big punch of flavors, so you gotta be in it for the long haul cause this sandwich definitely isn’t messing around. Have you all heard of Serious Eats? Well, one of the guys who runs the site is like a mix of all the best parts of Alton Brown and America’s Test Kitchen rolled into one. His name is Kenji and he has a recurring column called The Food Lab. Kenji knows a LOT about food and is always sharing with the readers of SE, some in-depth recipe for the best version of ________. Whatever it may be, Kenji will come up with an amazing recipe for it. 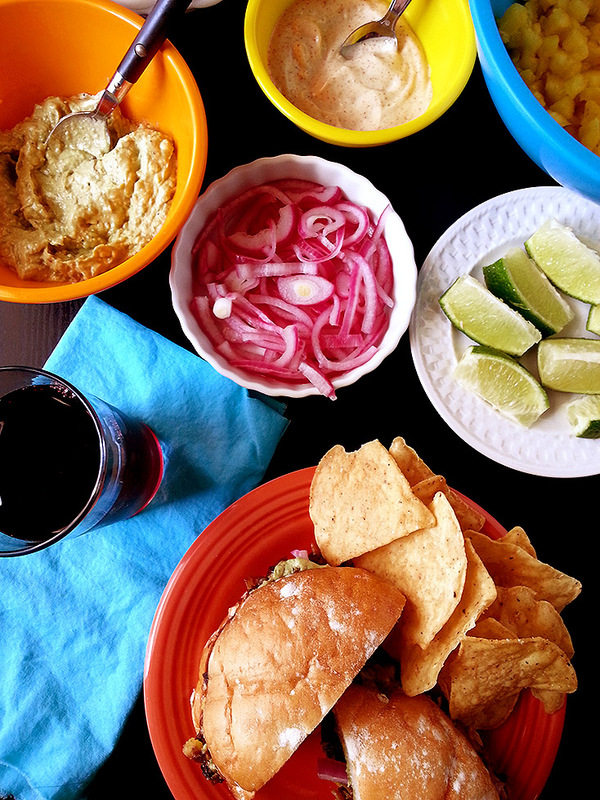 Like this crispy pork carnitas, for one! Typically, carnitas (pork shoulder slow-cooked in a big pot of lard) is something I only order when I’m out at a restaurant. I didn’t think I had it in me to make it at home, until Kenji’s recipe came along and gave me hope. He really simplified the process! The goal with carnitas is to slowly break down the connective tissue in the pork shoulder, and the result is some of the most tender, tasty pork you’ll ever want to eat. Usually, the big pot of lard will freak some people out, me included. I didn’t want to have to buy lard (cause who buys lard? ), and a larger cut of meat like a pork shoulder was sort of intimidating to me. With Kenji’s carnitas recipe in all it’s simplified glory, I had all the confidence in the world, and soon, I’d have the best pork I’d ever cook in my life.